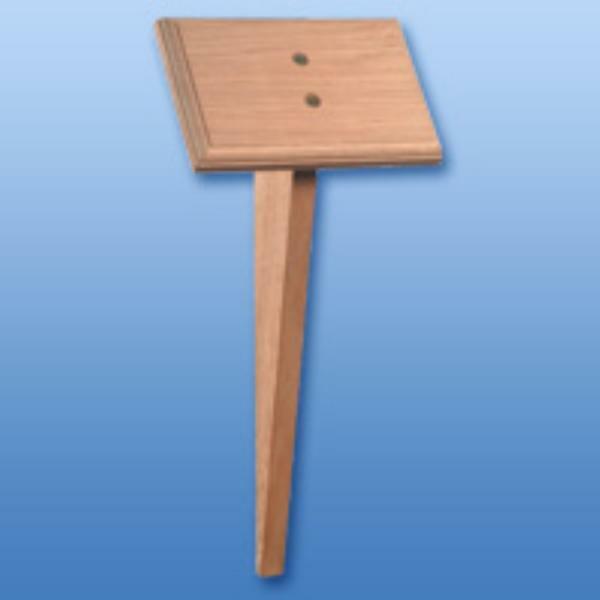 This oak wooden tree stake is made of polished oak and is supplied with a brass effect plastic plaque engraved with up to 50 letters free. Any additional characters to be engraved are charged at 15p each. The plaque can be upgraded to a brass plaque for an additional cost. The plaque is supplied screwed onto the oak stake. The oak plinth height is approximately 14" (35cm) high and 7" (18cm) wide, and the plaque is 6" by 4". The postage rate for this oak wooden tree stake is Band B.